In 2002 we began working with Peter Saville to explore the idea of CP1919 in a new three dimensional way. 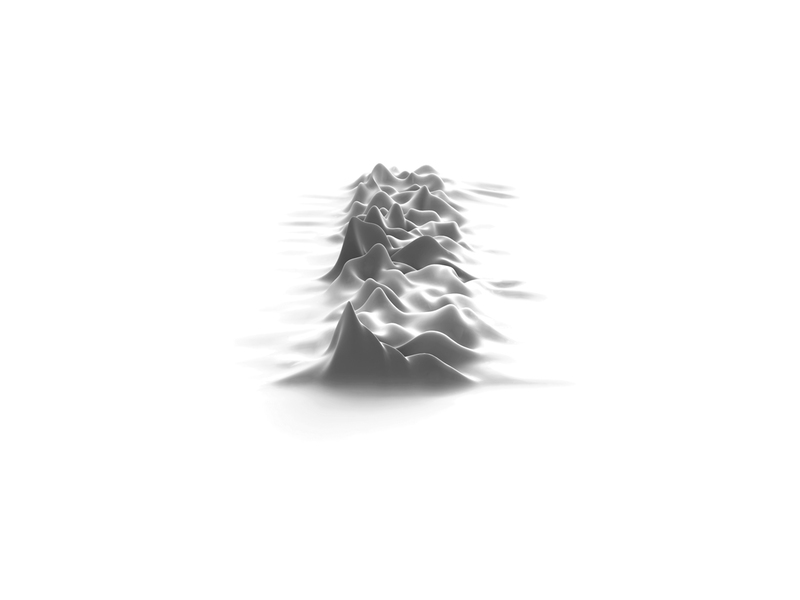 The original illustration from the Cambridge Encyclopedia of Astronomy, which was famously used for the cover art for Joy Division’s Unknown Pleasures 1979, had always felt like the depiction of a physical landscape, albeit one which had been derived from the frequency of a pulsar wave. The artwork became the cover for the book “Designed by Peter Saville” (published by Frieze in 2003) which was released to coincide with the opening of his solo exhibition at London’s Design Museum, the first the museum has given to a living graphic designer, and which also featured an Iris print of the artwork. 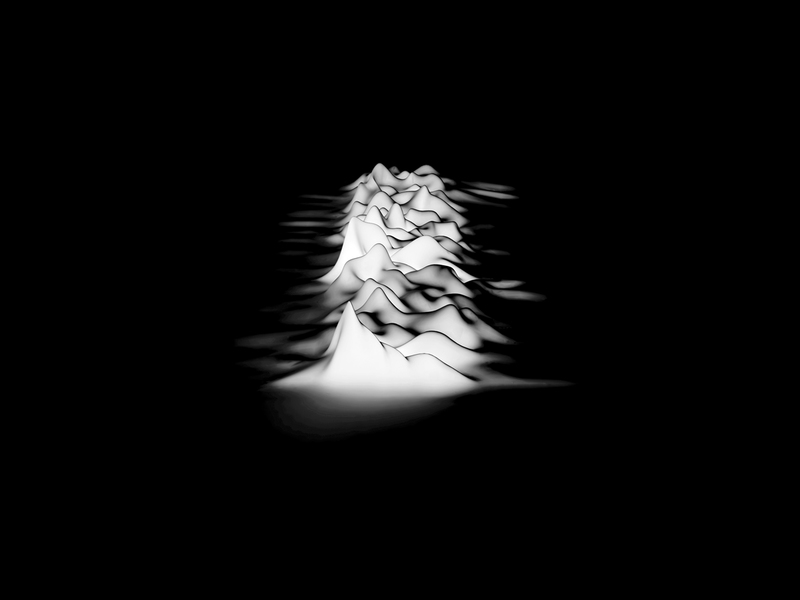 “A contemporary reinterpretation of the graph which depicts successive pulses from CP1919 (the first pulsar ever discovered) which Saville used for the cover of ‘Unknown Pleasures’, Joy Division 1979. The graph which is a linear illustration of the frequency and symmetry of a time-based event was first modelled in three dimensions by Saville and colleague Bill Holding of Morph in 2002 – the resultant landscape being effectively a sculpture of moments in time itself. The entropic associations which in habit the history of the work are amplified by this memorial rendering in a monumental stone – epitomising what writer Michael Bracewell describes in Saville’s work for Joy Division as “the muniments of a crematorium in deep space”.